The FRBC website is your gateway to French racing with up to the minute information on all aspects of our industry. Everything from sales companies, dates and statistics to breeders, boarding farms, ownership and breeders’premiums. 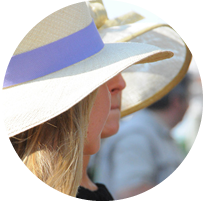 Find a trainer, discover our fabulous racing venues, and let us guide you through our procedures and protocols. Allow us to make your french racing experience the very best it can be. We have a great team here at FRBC ready to help you. 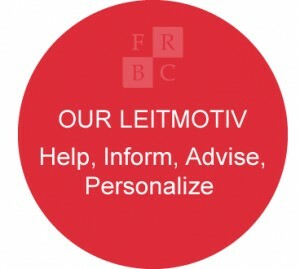 Contact us at any time via the handy links on each page or via our contact page. Remember you can also visit our FAQ section and quickly access answers many commonly asked questions. 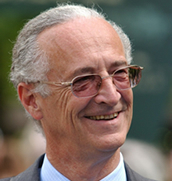 Created in 2000, the French Racing and Breeding Committee (FRBC) is a not-for-profit organisation entrusted with the promotion of the French Racing and Breeding Industry abroad (i.e Thoroughbreds, AQPS and Arabians). It is a gateway for all foreign professionals, prospective owners and racing enthusiasts wishing to discover and invest in French racing. 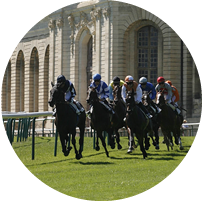 FRBC gathers the entire racing industry around one table, helping your project in France by connecting you with the right professionals at the right time. FRBC provides genuine insight into France’s unique racing culture, impressive venues and investment potential. 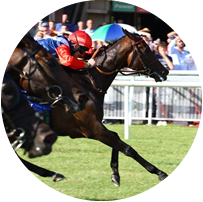 Whatever you need to know about French Racing & Breeding, you can turn to us! At FRBC we offer impartial advice to all foreigners with an interest in racing and breeding in France. 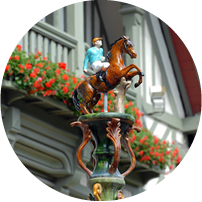 A wealth of information on the French Racing and Breeding Industry. FRBC’s position with the industry affords privileged access to information and services. We never leave a question unanswered! Allow us to introduce you! Studs, training centres, hospitality at the races and thoroughbred sales . Tailor measured visits to suit every project. Reimbursing travel costs for inward buyers purchasing horses at public auction (ARQANA & OSARUS). At all stages of your racing/breeding project in France: registration of racing colours, property search, legal/fiscal aspects, paperwork and more. The FRBC team is dedicated to bringing you closer to the heart of French racing. We feel very fortunate to enjoy the countless charms and benefits of racing and breeding here in France on a daily basis and we take pride in marketing our industry all around the world. Capucine was brought up in Normandy and completed a four-year dual diploma in Business and International Event Management at Le Havre Business School in partnership with Brighton University. She speaks fluent English, good German and some Spanish and has gained valuable experience working in the International Department of the Cheval Français, the organizational body of trotting racing in France. After three years as Communication and Marketing executive and one year as Project Manager, she was promoted to Executive Director in April 2012. She is now supervising the overall strategy and operation, as well as promoting French Racing and Breeding in Europe and Internationally.